Over half a century and more than 2700 Monday nights later, it still hasn’t. The Vanguard Jazz Orchestra stands apart from all other modern ensembles of its kind and is still as strong and vital as ever. From the very beginning, the Thad Jones/Mel Lewis Orchestra captivated the jazz world with the fresh sound of Jones’ writing, Lewis’ incredible command of the ensemble and an entirely new approach to the big band genre. The band emphasized a “small group within the big band” concept, allowing its many top-flight jazz soloists to stretch out and play much longer than was previously typical in large ensembles. Jones and Lewis enjoyed a very fruitful thirteen-year partnership, which produced fifteen albums, a number of world tours and a wealth of compositions that have become standard big band fare, still delighting audiences and challenging even the world’s best jazz musicians to this day. When Jones unexpectedly moved to Denmark in 1979, Lewis kept the band together, changed its name and became the sole leader. The Mel Lewis Jazz Orchestra continued to perform the music of Thad Jones, but the legendary Bob Brookmeyer was recruited as musical director and his groundbreaking compositions provided an entirely new sonic direction for the band. Several other composers contributed new music to the book (including Bob Mintzer and Jim McNeely) and, under Lewis’ leadership, the band added another nine albums to its credits. After Lewis passed away in 1990, the band became the Vanguard Jazz Orchestra. With Jim McNeely as its composer in residence since 1995, the VJO has continued to honor the legacy established by Thad Jones and Mel Lewis, but all the while continuing to push the boundaries of the big band idiom. Over half of the albums (17 out of 32) in the band’s robust discography have been nominated for Grammys, with two of them winning the coveted award. In addition, the orchestra has performed on five continents and has won eleven “Best Big Band” awards in the DownBeat magazine Readers and Critics Polls. 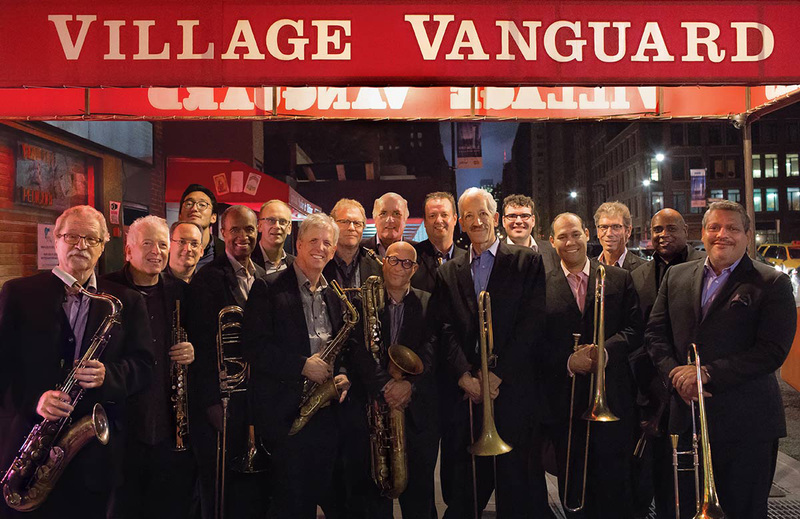 The Vanguard Jazz Orchestra’s regular Monday night gig at the Village Vanguard is the longest-running steady engagement in the history of jazz.